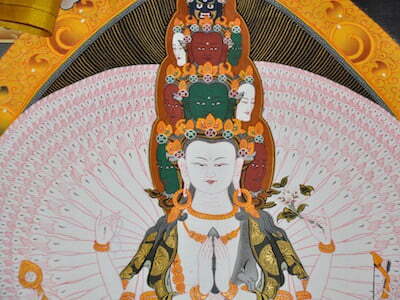 The Nyung Ne Purification Retreat of Chenrezig is a powerful way of healing illness, purifying negative karma, and opening the heart to compassion. A “policy of retaliation” returns insults, injury, or injustice with anger. But does it bring peace? Ven. Chodron teaches a compassionate alternative. 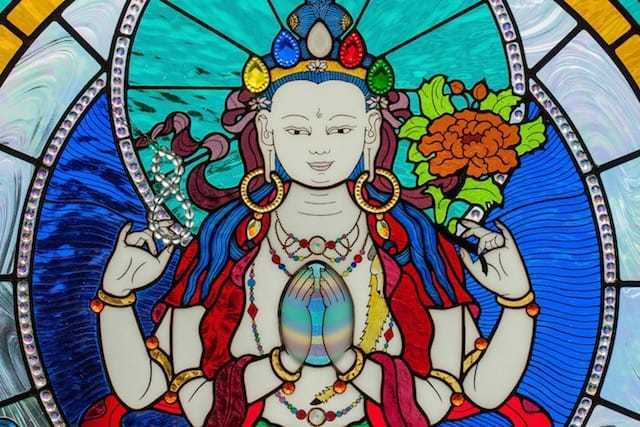 Glass artist Bev Brecht offers a beautiful new stained-glass window of Four-Armed Chenrezig. 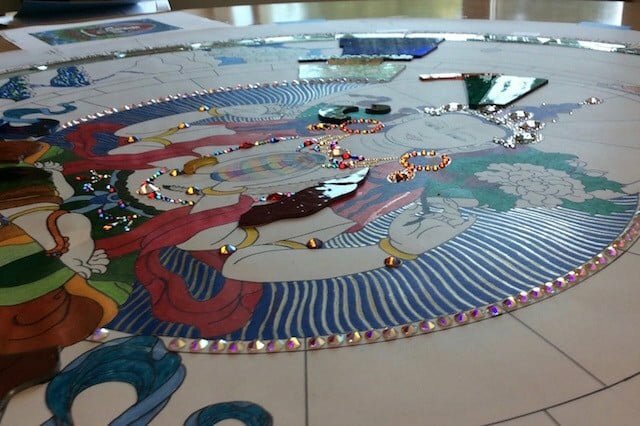 For glass artist Beverly Brecht, the creative process is similar to meditation.